The Southern Historical Collection, Friends of the Library, and the Sonja Haynes Stone Center for Black Culture and History sponsored a panel discussion regarding collegiate sports featuring Taylor Branch, William C. Friday, and Charles T. Clotfelter. Originally posted by DTH Media. 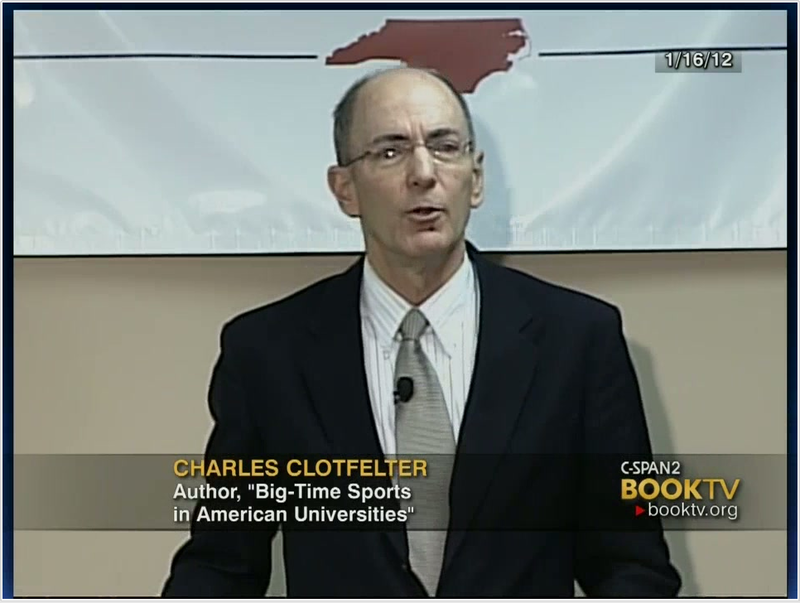 Charles Clotfelter talks about his new book. 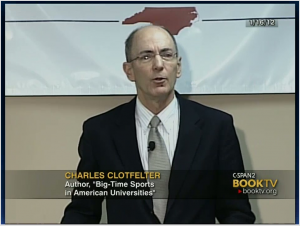 Author EditorPosted on March 8, 2011 June 19, 2018 Categories Press, VideoLeave a comment on Charles Clotfelter talks about his new book.